Guyana’s best interest at heart when he signed various concession and investment agreements with controversial Chinese logging company, BaiShanLin. Goolsarran said that during his audit of the Guyana Forestry Commission (GFC), it was noted that BaiShanLin received an extreme amount of concessions on equipment and vehicles under the pretence that it was for the establishment of a state-of-the-art wood processing factory. The Chartered Accountant said, too, that the excessive amount of concessions would, beyond the shadow of a doubt, indicate that the company was using the said materials and vehicles it brought in for its interests in the mining sector. 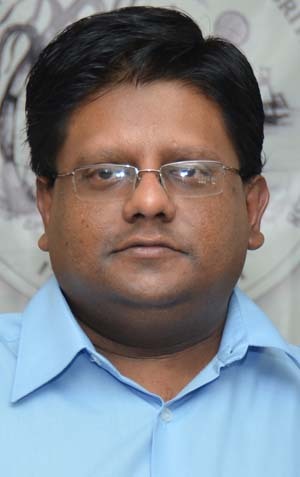 Goolsarran said that BaiShanLin’s actions since its incorporation in 2006, clearly show that it never had any good intentions for Guyana. “I believe that the former Finance Minister should be sanctioned for the premium concession packages he approved for BaiShanLin to receive because that company only abused the country’s laws and systems and failed on several occasions to live up to its obligations. 2006 that it would have established a wood processing facility and to date, not a single effort has been made in this regard. BaiShanLin has been making lots of excuses while being able to benefit like a king in the forestry sector,” Goolsarran lamented. The Chartered Accountant recalled that his report had data which were provided by the Guyana Revenue Authority (GRA). The data show that during the period 2012 to 2015, the People’s Progressive Party/Civic administration granted BaiShanLin fiscal concessions on a variety of machinery, equipment and construction materials. These items carried a value of $7.5 billion (US$37.3 million). The total value of concessions granted amounted to $1.827 billion. The report noted that GRA indicated that it was unable to provide information relating to the earlier years because of computer problems. The report clearly says that the concessions for the equipment and other machinery was based on investment agreements entered into between the former Government of Guyana and BaiShanLin for the construction of a wood processing facility in Region Ten. 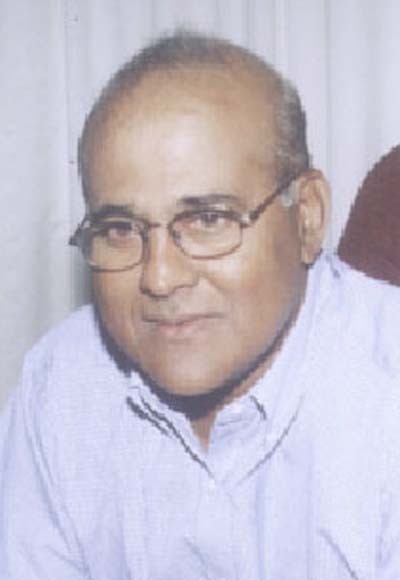 The forensic auditor said that indeed, the evidence suggests that the fiscal concessions granted were substantially in relation to BaiShanLin’s ownership and or control of five logging companies which had Timber Sales Agreements (TSAs) as well as its proposed investment at Providence, East Bank Demerara. The Chartered Accountant noted that up to the time of reporting, BaiShanLin had not fulfilled its obligations under the investment agreements. Instead, it was requesting an additional two years to construct the long awaited wood-processing facility. The APNU+AFC administration is yet to say whether it will grant the Chinese company a two- year extension. Goolsarran said it is important for one to remember that the company in a letter to the former Prime Minister, Sam Hinds, promised that the wood processing facility would have been completed since 2007. A further assurance was given in July 2012 in a letter to the former Minister of Trade, Industry and Commerce that the facility would be ready by the end of 2013. The forensic auditor said that the investment agreements specifically provide for termination where there has been a failure to undertake the business proposal without providing a reasonable explanation. He said that when this happens, BaiShanLin is required to repay the value of all fiscal concessions granted. Goolsarran said that despite the persistent failure by the Chinese company to honour its obligations under these agreements, and without reasonable explanations, no action has been taken to terminate the agreements under the previous regime. In addition to this, the Chartered Accountant said that the Guyana Revenue Authority and/or Go-Invest was/were required to visit the business premises and inspect assets that benefitted from the fiscal concessions. However, there was no evidence that this was done.